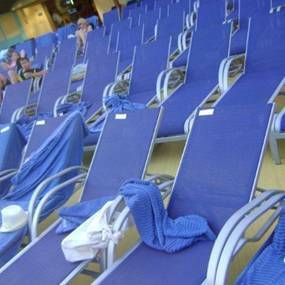 Carnival Cruise Lines has a system designed to ensure that all guests are able to enjoy equal access to sun loungers by preventing seat saving in outdoor deck areas. 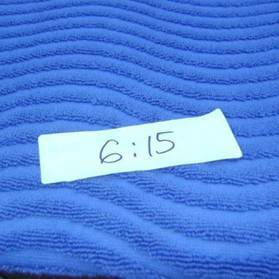 Shipboard team members monitor sun lounge usage and if they observe a seat that contains a towel or personal belongings but appears to be unoccupied, a notification is placed on the chair indicating the current time. If the chair remains unoccupied for 40 minutes, the contents are removed and held for the guest’s safekeeping. Guests are advised of the system via public address announcements by the cruise director, signage in outdoor deck areas, messages displayed on the Seaside Theater poolside LED screen, as well as notices in ‘Fun Times,’ the daily shipboard newsletter.